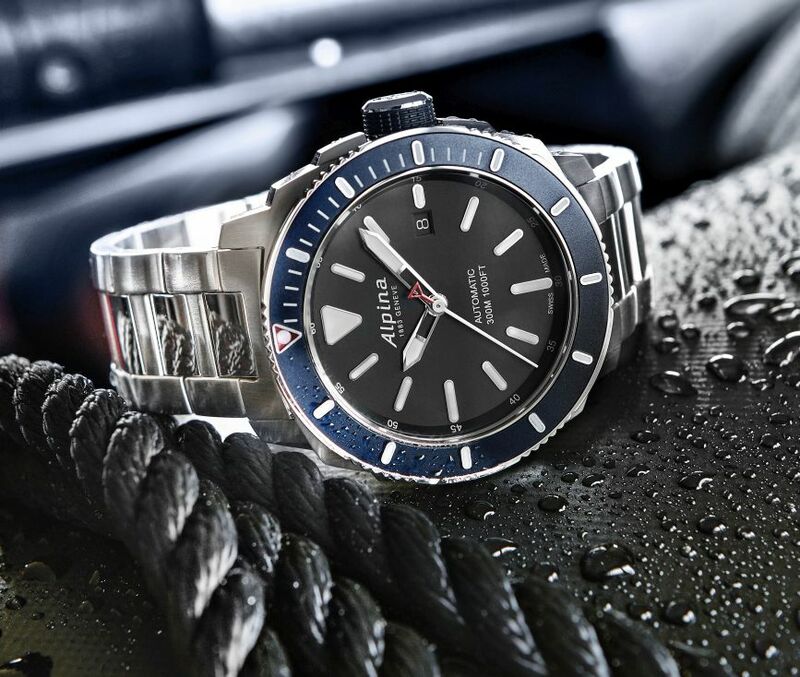 Alpina introduced the latest version of its highly praised Seastrong model of the 60s. The new model is offered in a stainless steel case measuring 44mm x 13mm. The case is equipped with an anti glare coated sapphire crystal on the front side and it is water resistant to 300 meters. 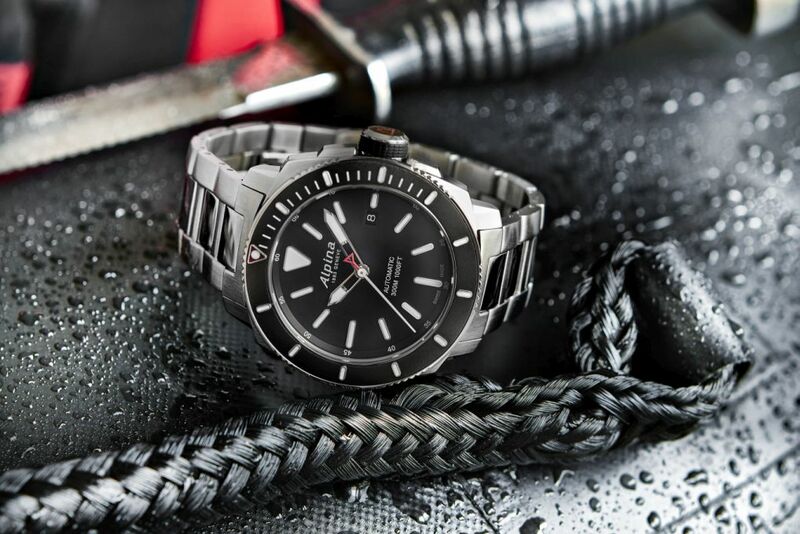 The uni-directional diver’s bezel comes in two color options as gray or navy blue. The matte black dial is accompanied by large indices and arms with SuperLuminova filling. The date feature is displayed by a black background white fonts date disk that can be seen through the window at 3 o’clock. The new model is powered by the brand’s Caliber AL-525. 26 jewels self-winding movement beats at 4Hz and offers a power reserve of 38 hours when fully wound. 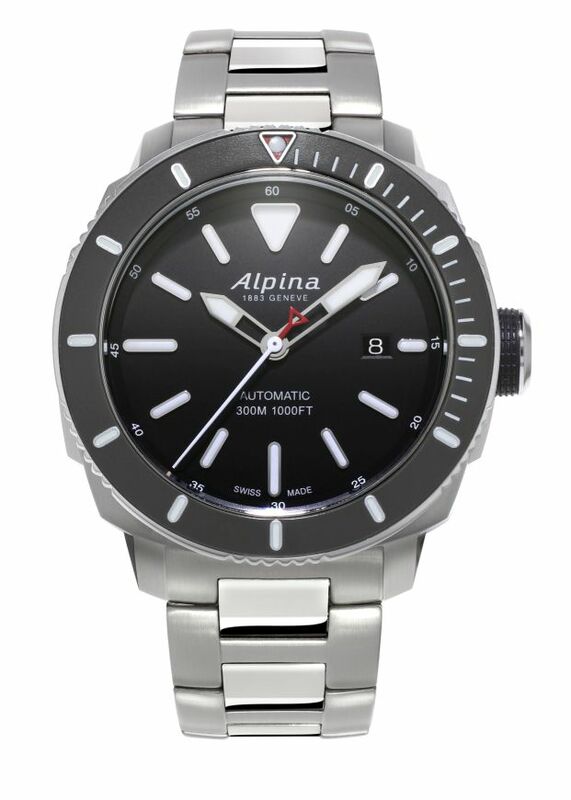 Alpina Seastrong Diver 300 comes on a stainless steel bracelet. The new model is scheduled to be available at the stores soon with a sales price of 1495, 00 USD (USA list).